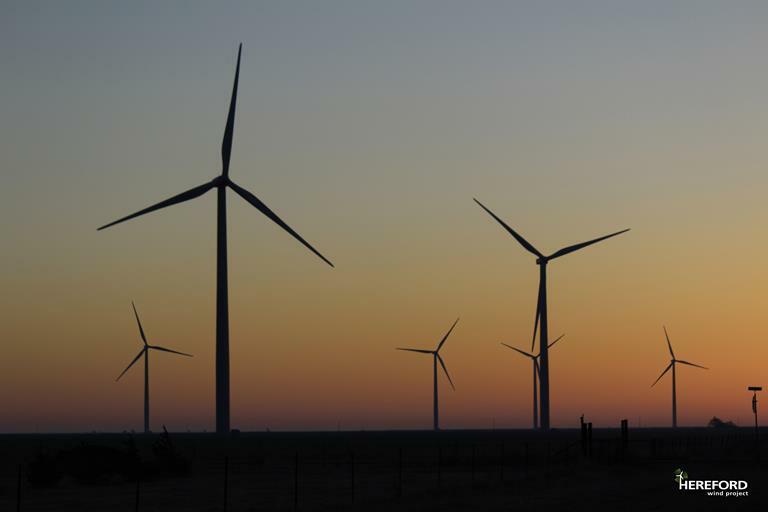 The 200 MW Hereford Wind Project in Texas reached commercial operation (COD) on December 22, 2014. In addition, tax equity financing closed with BNY Mellon and MUFG Union Bank, N.A. Financial details were not disclosed. 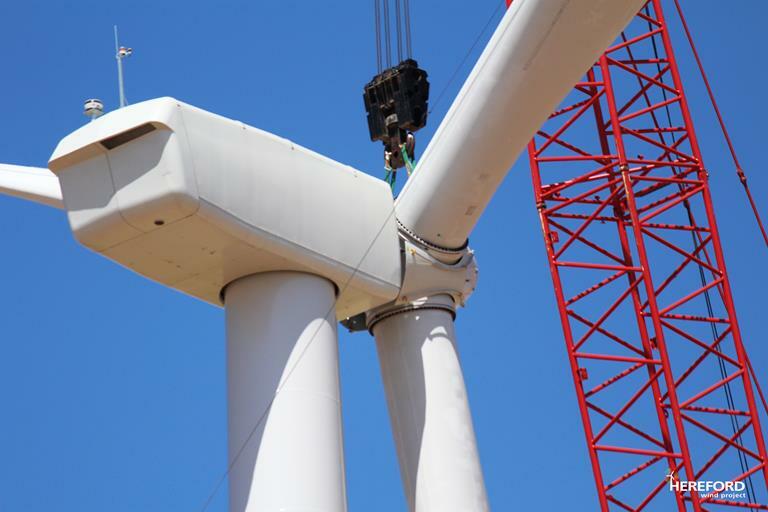 Encompassing approximately 15,000 acres in Deaf Smith County, southeast of the town of Hereford, the project commenced construction of 54 GE 1.85-megawatt, and 50 Vestas V100 2.0-megawatt wind turbines in November 2013. 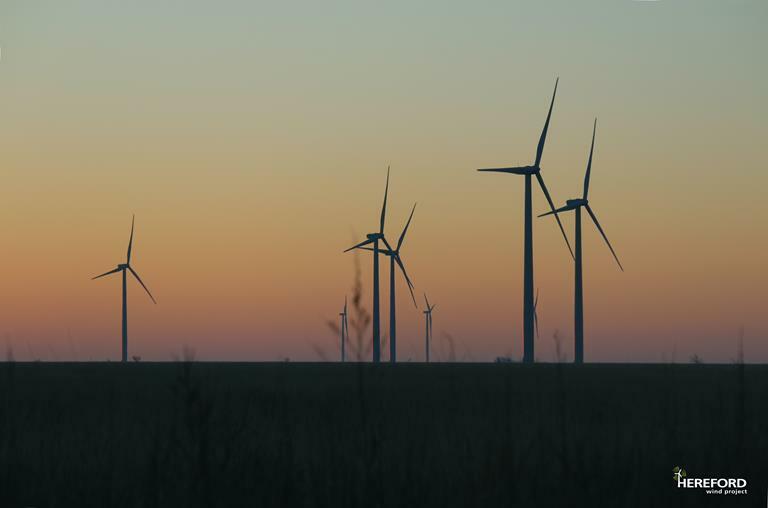 The project feeds into the CREZ (Competitive Renewable Energy Zone) transmission infrastructure which enables the high electricity demand areas in the state to access the strong low-cost renewable generation resources of West Texas and the Texas Panhandle. The power is sold into the ERCOT (Electric Reliability Council of Texas) power market and covered by a long-term, fixed-price hedge agreement for a portion of the expected energy production. With the Hereford project in operation, the Group’s installed capacity since entering the Texas market in 2012 reaches 672 MW with another 394 MW in construction. Hereford Wind will generate enough electricity to power approximately 55,000 homes – according to US Energy Environmental Protection Agency methodology – avoiding approximately 375,000 metric tons of greenhouse gas emissions per year, the equivalent of the annual emissions from approximately 80,000 passenger vehicles. EDF Renewables will provide long-term operations and maintenance for the facility, balance of plant, project oversight, and 24/7 remote monitoring from its NERC compliant Operations Control Center (OCC). .
BlackRock Infrastructure Investment Group has purchased a 50% interest in the Hereford Wind Project.